AgriSteel custom designs dairy barns, including freestall barns, parlors and holding areas. 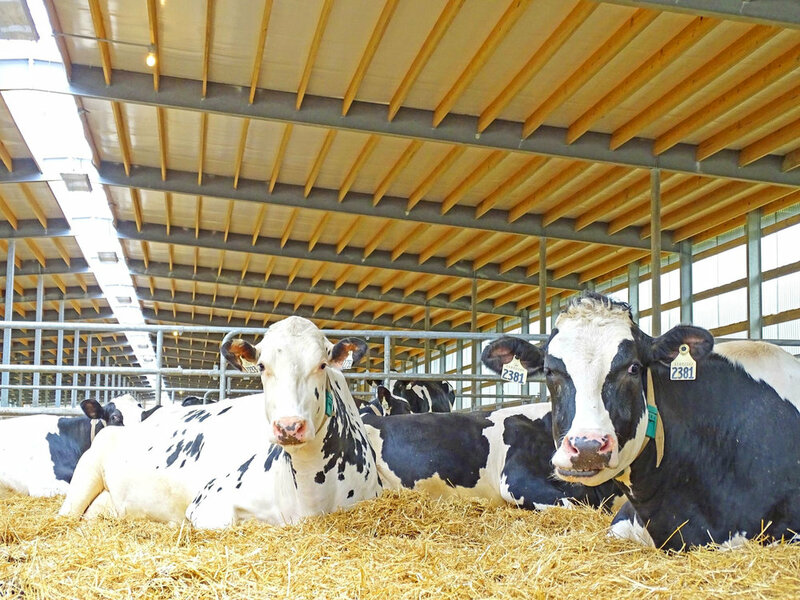 Producers can choose from three ventilation options to exchange warm, humid indoor air for cooler fresh air, which keeps herds healthier for maximum milk production. The dairy industry is rapidly changing as producers look to become more efficient and boost productivity while putting their focus on herd health and comfort. 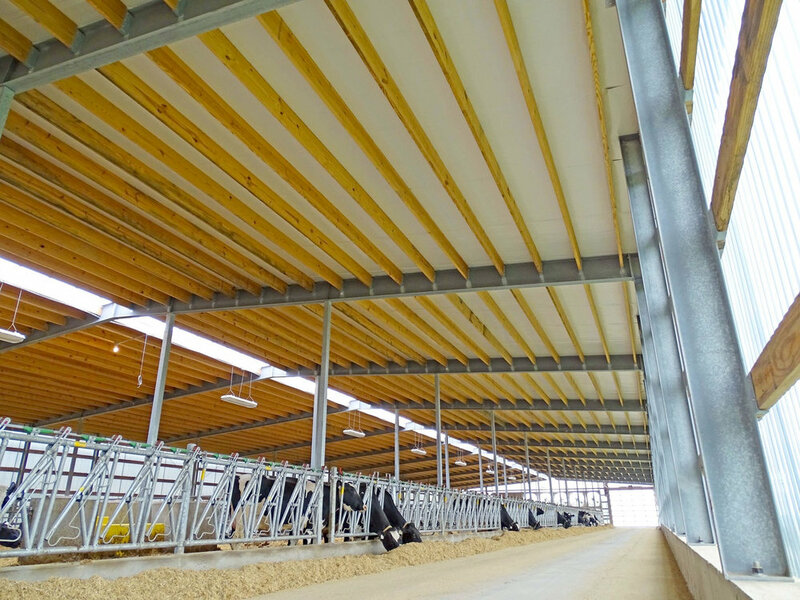 At AgriSteel, we stay on the forefront of these trends by designing and fabricating dairy barns that improve cattle health to boost milk production. Our freestall barns, milking parlors and other dairy buildings are custom designed to match each customer's unique operation and climate of the operation. Our freestall barns are durable and animal-friendly, with designs that promote cleanliness and comfort for both animals and employees. Our multiple design theories offer sufficient lunge space, reducing stress on the cow and the chance of injury. When choosing AgriSteel for our custom design, you’ll get a structurally sound system that allows for optimal cow comfort. This maximizes dairy production for a higher rate of return on investment. Our buildings are constructed strong to last longer. 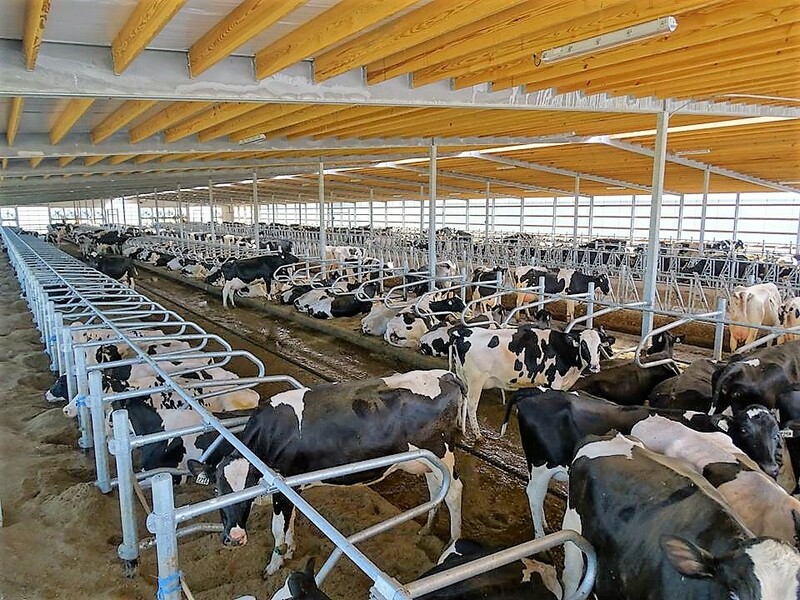 Learn about how our design, engineering, fabrication, and construction management can benefit dairy production now and well into your client’s future. Complete the contact form for more information or call 920-606-9549.